Back-up goalkeeper Sergio Romero has no plans to leave Manchester United as he rubbished speculation of a move to Inter and Serie A.
David de Gea is the undisputed number one at Old Trafford, with Romero the understudy having been used predominantly for cup duty this season and that continued as United advanced to the Europa League final on Thursday. 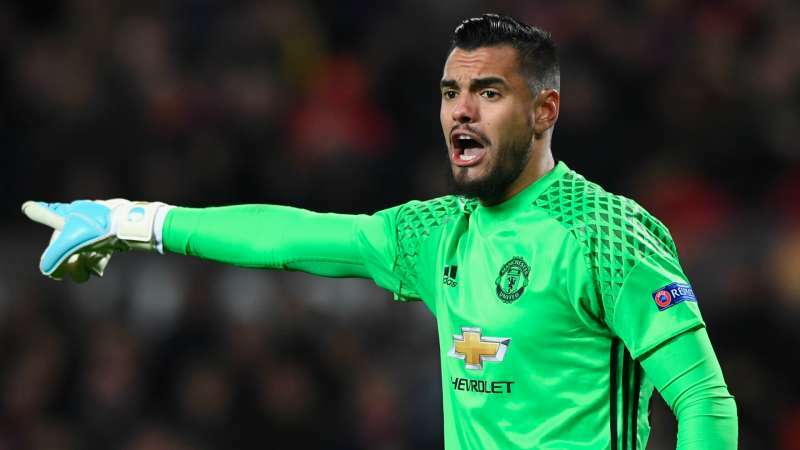 Romero – who has only made one Premier League appearance in 2016-17 – helped United to a fortunate 1-1 second-leg draw and a 2-1 aggregate win against Celta Vigo and the former Sampdoria keeper insisted he is happy in Manchester. "I doubt I'll be in Italy next year," Romero told Sky Sport Italia. "I am very happy in Manchester, they make me feel important and I hope to stay for a long time." Romero, 30, left Italian side Sampdoria for United in 2015, when former manager Louis van Gaal was still at the Theatre of Dreams. The Argentina international's arrival came as De Gea appeared set to leave for Real Madrid but the move never materialised, leaving Romero as number two.